So you want to move to a new state, now what? There’s obviously more to it than just finding a suitable home, packing your bags, and moving your family. Psychology Today notes that moving to a new place can impact kids in SO many ways. For example, moving to a new state means leaving behind the network of friends they have already made and restarting life in a new place they have absolutely no idea about. Involve your family in as many decisions as you can. Have them “help” you figure out the best time to move, the best neighborhood to move to, and even the right home to buy. Make sure you explain or discuss your choices with each other, too. Try, as much as you can, not to make decisions over their heads. Research about your new community, so that you can brief your family on what they can expect. Child Mind Institute recommends that you let your kids know the possible challenges they may encounter such as having to catch up at school, making new friends, and getting around their new neighborhood. 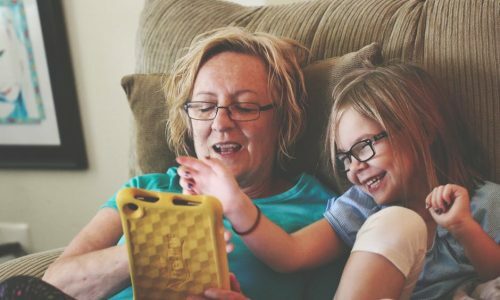 Talk to them about possible new routines such as who will pick them up at school, where will they go for their extracurricular activities, and how they will be able to see their old friends (FaceTime? Skype?). How will the new state benefit you? Every state has a different government with different laws, infrastructure, and social services. History professor David Perry decided to move his entire family to Minnesota from Illinois after state cuts meant looking after his disabled son became more expensive. It was a necessary choice. “When it comes to life with disabilities, state administrations matter. When a state collapses, it takes the disability services down with it. We’re moving, at least in part, in hopes of ensuring a better future for our son,” he said. Although there were a few adjustments each family member had to make, they’ve slowly settled in. “We’re spending our days learning that our son has a surprising affinity for real estate websites. My wife recently caught my daughter, who is 8, watching Ikea hack videos. I think our move is going to go well,” Perry added. Involve your family in choosing the new home and if possible let them see it before they move in. Let them know why you’re looking at a particular area. When it comes to choosing the best home, James McGrath’s NYC Buyer’s Guide on Yoreevo recommends thinking five years ahead. He believes that buyers need to consider if their family will grow, if their job is truly stable, and whether they like the whole neighborhood. Asking these important questions will ensure that there are no surprises when you move, especially if you are moving across several states or to a major city from a rural area. Once you’ve made a choice, work-at-home mom Stephanie who writes for Explore More Clean Less suggests it would make the move easier for your family if you take a few familiar items with you to have immediately before all the boxes get unpacked. For them, it was the kids’ beddings and a few favorite stuffed toys. This makes the transition easier because the family can see something that feels like home and is very familiar to them. “No matter where we were staying, they had the same blankets and noise machine, which helped lend some stability to the bedtime routine,” she said. Moving to a new state means changing schools, doctors, vets, mail delivery services, jobs, and service providers. Make sure you get a copy of all your family members’ medical and school records at least two months before you move. Change your mailing address accordingly, too, and make sure you’ve informed friends and family about where you will be staying. You also need to check if you need to get new ID’s or update licenses in the new state. Make a list! 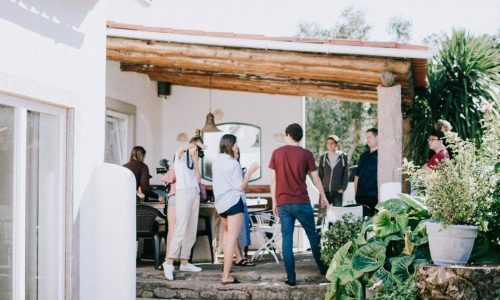 Make sure that you throw a going away “party” (big or with just the immediate family), so that your family can say their goodbyes (either to their friends, neighbors, even just the familiar trees in the yard)! This can help prevent your family from feeling anxious and your kids from developing separation anxiety. 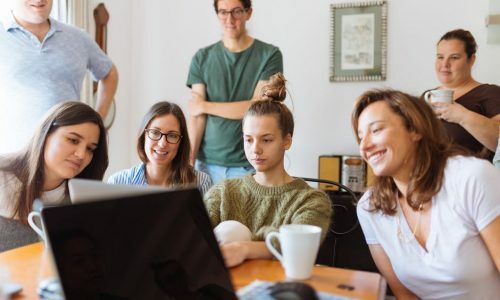 To help alleviate the feelings of uncertainty and to make the trip to your new home more fun and exciting, research ahead of time and see if there are any places you can go on the way for a quick side trip. This will make it feel more like a holiday adventure! 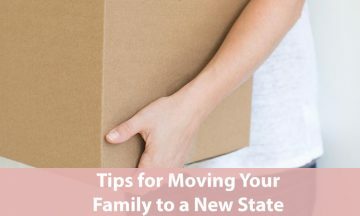 Have you moved to a completely new state before with kids? Got any other tips you want to share? Drop us a comment below or send us a message on Facebook!